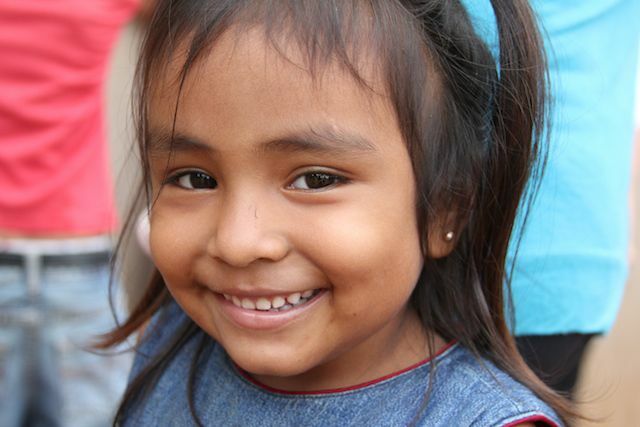 Child sponsorship truly translates into eternal hope . . . changing the world one child at a time. It brings hope to a child and their entire family, as parents and guardians have a huge burden lifted knowing their children will finally have their basic needs met and a chance for a better future. Our sponsors are making an incredible difference in more than 150 programs throughout 22 nations worldwide! The Smith family in Forest, Virginia, is one of our thousands of sponsors who believe that when love is shared through sponsorship, hope is restored to entire families and communities. Having sponsored children for more than 15 years, and even seeing some of their sponsored children graduate from the program, they’ve seen firsthand the impact sponsorship has on a single life. Lance and Suzie traveled to Guatemala, along with their four children, where they saw their love through sponsorship in action. They witnessed the difference between children who were sponsored and those who weren’t. They spent time with many families and could see how sponsorship impacted lives as children in the program in Guatemala had good clothing, were well-nourished and much healthier than the children who were unsponsored and not in school. 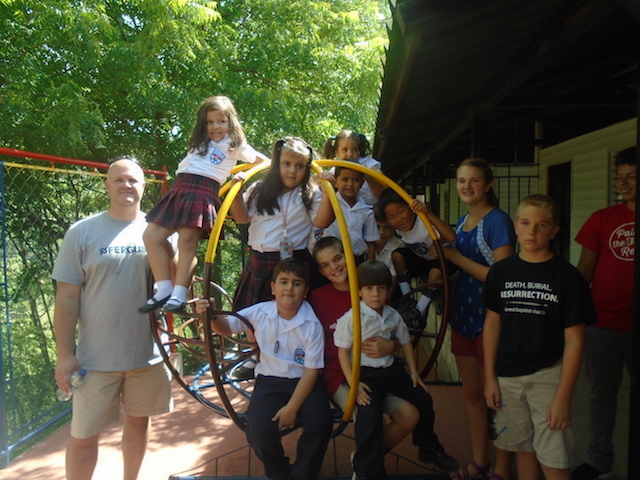 When Lance and his daughter Meredith traveled to Guatemala for the first time in 2011, they visited Pueblo Modelo, where Meredith met a young girl named Karla. They were close in age and instantly bonded. They had the opportunity to meet Karla’s family and saw their home was composed of only sticks, plastic, and sheet metal. This shelter did not keep them safe from harsh weather conditions. 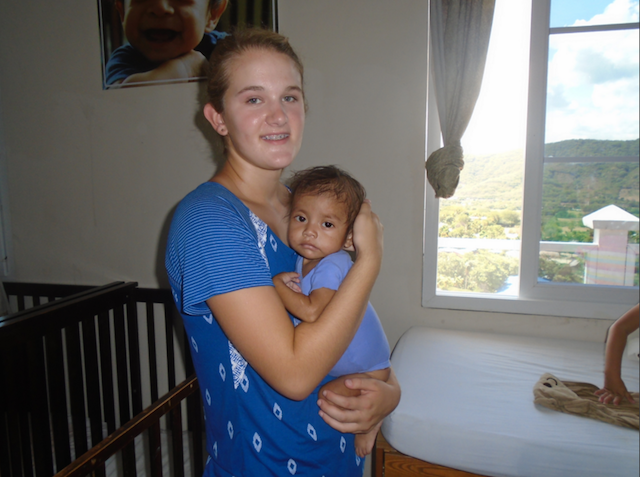 Meredith, who was nine years old at the time, returned home with a burden for Karla and her family. Determined to help, she began fundraising to raise enough money to build a home for the friend she made in Guatemala. Through lemonade stands, ice cream socials, birthday parties, and asking both church and family members for help, she raised enough money to construct a new home for Karla and her family in only nine short months. When Meredith returned to Guatemala in 2014, she had the opportunity to dedicate this home and learned that Karla and her siblings were not yet sponsored. This was another opportunity for the Smith family to put their love into action and make a difference. They began sponsoring all three children! 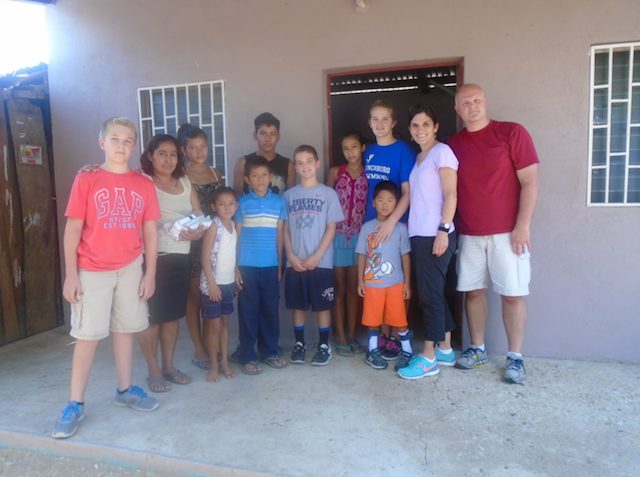 Then, in August 2015, their entire family had the opportunity to travel to Guatemala together where they visited the family at the home they provided in Pueblo Modelo. “They were so proud of their home, and Karla even had a picture of her and Meredith hanging over her bed,” Lance said. Lance and Suzie shared how impactful sponsorship has been not only for their sponsored children, but for their own family. It is an opportunity for their family to grow together and to see how their love and compassion for these children are making an eternal difference. “The greatest blessing of child sponsorship is that it has given our children an awareness of how many children around the world live. We are grateful that our children can actively participate with us in this rewarding endeavor,” they said. When love springs into action for a child in need, it translates into hope . . . hope for a parent who is left helpless to provide for their child . . . and hope for a more promising future. Sponsors, you are truly a reflection of hope for your sponsored children and their families. If you’ve never before decided to sponsor a child, take a step of faith today and invest in a single life. Provide hope and share your love around the world through sponsorship . 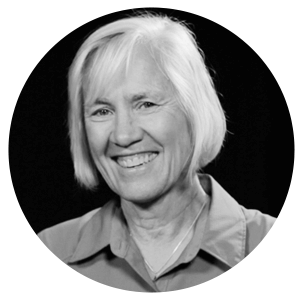 . . investing in transforming lives and building futures. And if you’re already sponsoring a child, consider investing in another child’s life. You’ve seen the impact sponsorship can make, and just like the Smith family, you can provide this hope for another child today.